We live in a world with a lot of stress. Does it surprise anyone that we, as a society, are dealing with significant drug issues? Throughout America, prescription drugs have become the number one target of recreational drug users. In fact, things have reached the level of being epidemic. With so many people now caught up in a prescription pill addiction, we are left contemplating the unthinkable. The unthinkable is we could end up living in fear of the very medications doctors prescribe to help us. 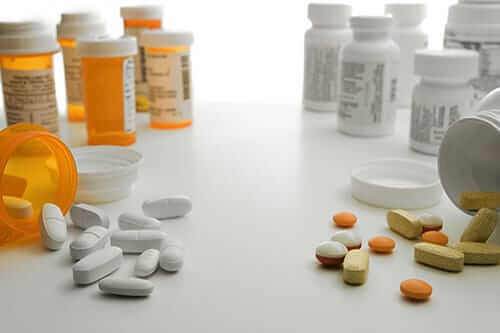 Most conversations about prescription pill addiction revolve around painkillers. Indeed, painkillers like Vicodin, Percocet and Oxycontin have become very popular in medicine cabinets and on the streets. That incredible euphoria is too much to resist. Of course, the focus is on the prescription pill addiction that comes with prescription drug abuse. The bottom line is we are all facing a serious problem. Should a user decide to suddenly stop using, they face dangerous withdrawal symptoms. That’s why any efforts should be made to detect early pill abuse signs. Why? Because there’s a direct correlation between the time one starts abusing pills and the depth of collateral problems. The only realistic solution to a prescription pill addiction is prescription pill addiction treatment from a reputable treatment facility. Most addicts need time to detox through their withdrawal symptoms. It’s far better for them to do so in a detox facility like our Tides Edge facility in Jacksonville. Here, medical professionals will monitor a patient’s progress to make sure the patient experiences minimal discomfort. The core of any treatment program is therapy. It’s important for patients to understand the truth about their addiction. They need to learn to recognize where their triggers reside and what temptations motivate them to use. Through this journey of self-discovery, the patient will also learn the importance of living life on one’s own terms. Treatment professionals want to make sure their patients acquire the proper coping skills. Without the appropriate coping skills, relapse becomes a certainty. With the proper coping skills for recovery, the recovering addict stands a realistic chance of staying clean well into the future. In the best cases, the former drug user will never touch or abuse another non-prescribed medication. You do not have to accept living your life with a perpetual prescription pill addiction. We understand it’s difficult to kick the habit, but you have the ability and opportunity to do it. The first step towards recovery is admitting you have a problem and want help. From there, Beaches Recovery can step in and do what’s necessary to help you with prescription pill addiction treatment. When you are ready for our assistance, call us at 866.605.0532. This is one phone call you will never regret making.